Feeling guilty about not going to the gym since the past week, month, er, a year? Time to take some action, kid! And it’s only as easy as browsing on Instagram! 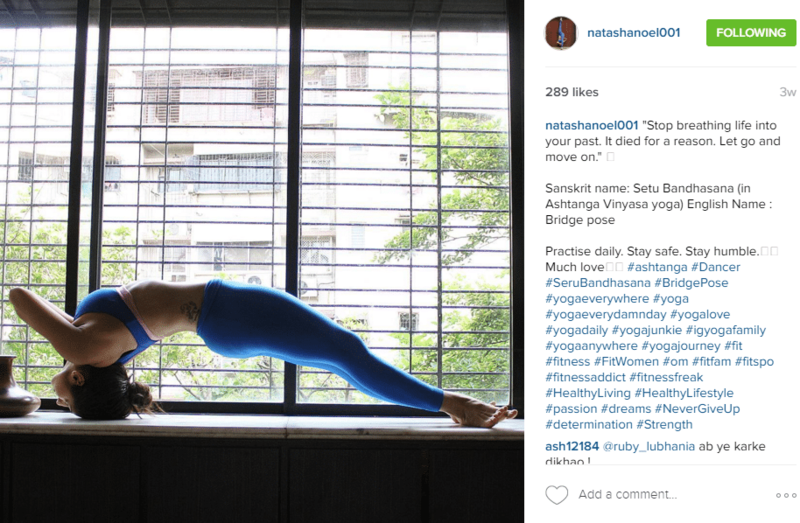 These Indian Instagrammers and their fitness journey will inspire the heck out of you! 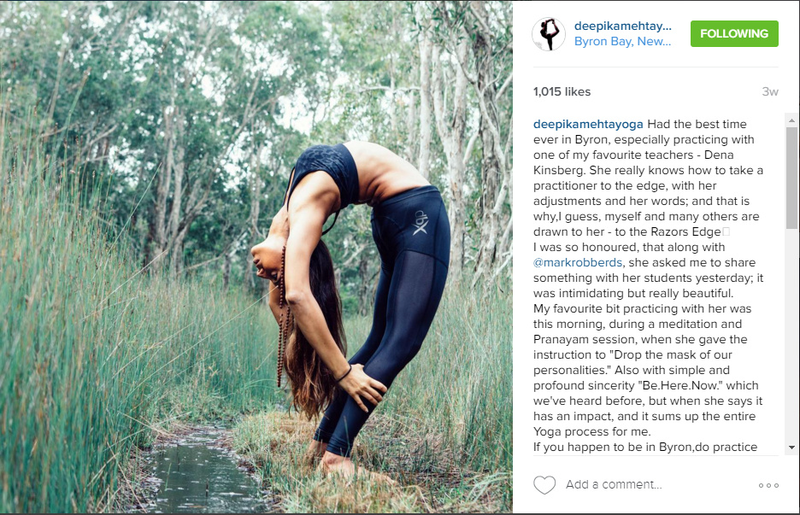 Deepika Mehta (@deepikamehtayoga) Say hello to one of the most wonderful yoga accounts we have ever come across on Instagram. Deepika’s account is sure to make you go WOAH! 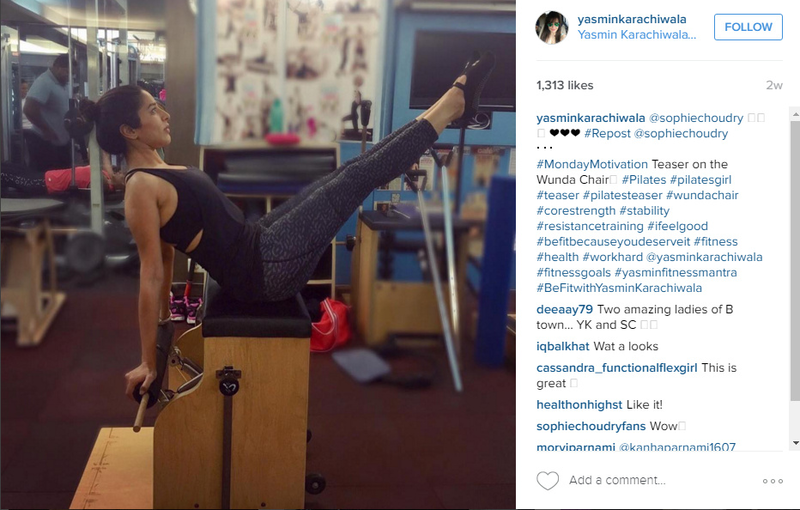 Yasmin Karachiwala (@yasminkarachiwala) For someone who has trained the likes of Katrina Kaif, we are surprised why you haven’t followed Yasmin yet! Anuj Vats (shvas_tba) Parkour, yoga, street workout, freeletics, this guy does SOOO many things! Follow right this minute! Natasha Noel (@natashanoel001) Combining her passion for love and dance, Natasha’s Instagram account is just #goals all over. Devrath Vijay (@devrathdv) Because sometimes you just have to take your workout routine to another level. 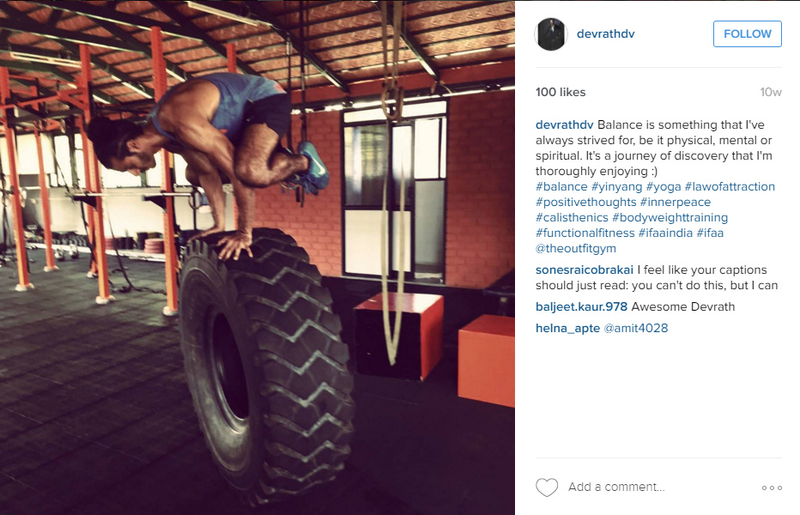 Go extreme after looking at Devrath’s Instagram feed! 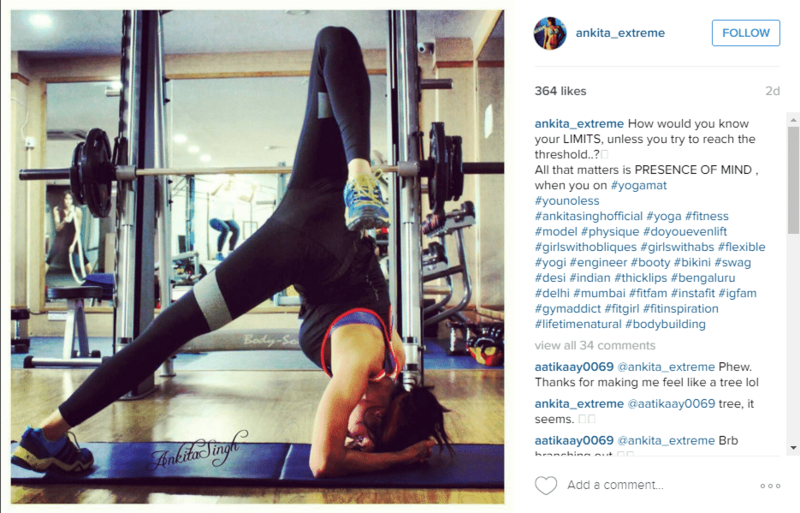 Ankita Singh (@ankita_extreme) Winner of Miss Fitness India in 2014, this account will have you running you to the gym. Yes, so much inspiration! Prashant Sawant (@prashantsixpack) Prashant has trained celebrities like Alia Bhatt, Shah Rukh Khan, Varun Dhawan. Did someone say celebrity body goals?! Log in, press the follow button, and get inspired!